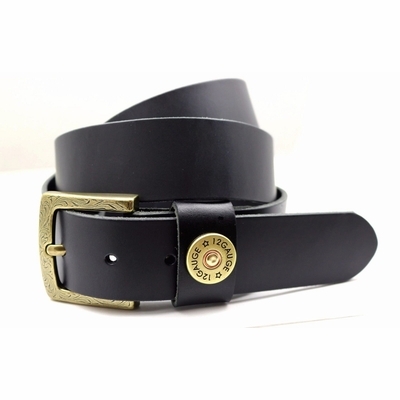 Supple 100% Leather Belt with Leather loop adorned with a Shotgun Shell Reproduction Concho Ornament. Brass Finish Buckle. 1 1/2" wide Belt comes with snaps which open and close to change to your favorite buckle.